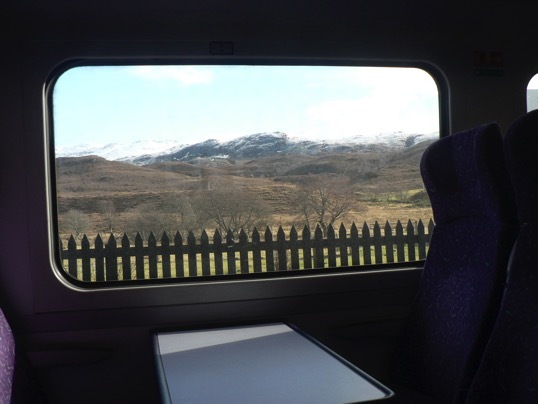 I’ve added a few more photos to the gallery of landscapes taken from trains. It seems like an unconventional way of capturing scraps of scenery as they zoom by and an excellent mental diversion when the novelty of getting out and about wears thin which, as any commuter on Britain’s railways will tell you, can be quite quick. If you have some train pictures you want to share, feel free to add some in the comments below.